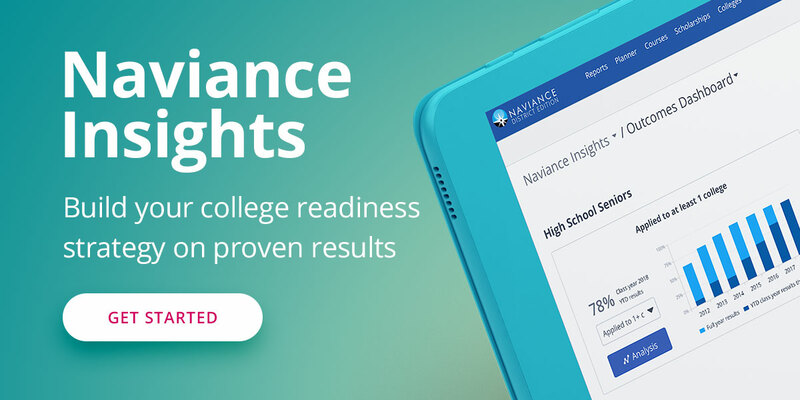 This school year, we’re pleased to introduce several key improvements to Naviance eDocs. Here is a brief summary of eDocs additions new for the 2016-17 school year. For more detailed information, check out the Naviance Network. This is a new screen for students requesting letters of recommendation. This screen shows new details for students to track the status of their recommendation requests. We’re constantly aiming to streamline the application process for staff who process thousands of transcripts and other documents each year. This school year, form questions that most often apply to all students in a school will pre-populate for every student. A complete list of the pre-populated form questions is available in the Naviance Network. Each year, 97% of Naviance eDocs schools choose to utilize the Common Application integration. The integration allows school staff to directly send from Naviance transcripts and other supporting documents to Common Application member colleges. Schools can choose to opt-in or opt-out of the Common Application integration and must confirm this decision by August 1, 2016 when the Common App comes back online. This is a student screen showing recommendation statuses in Family Connection. The same information is available in the Teacher Recommendation Manager in Naviance. Have questions or want to learn more about Naviance eDocs? Contact us today.